Good afternoon folks! Today's Tech Thursday on Jabber Log will be a double shot. 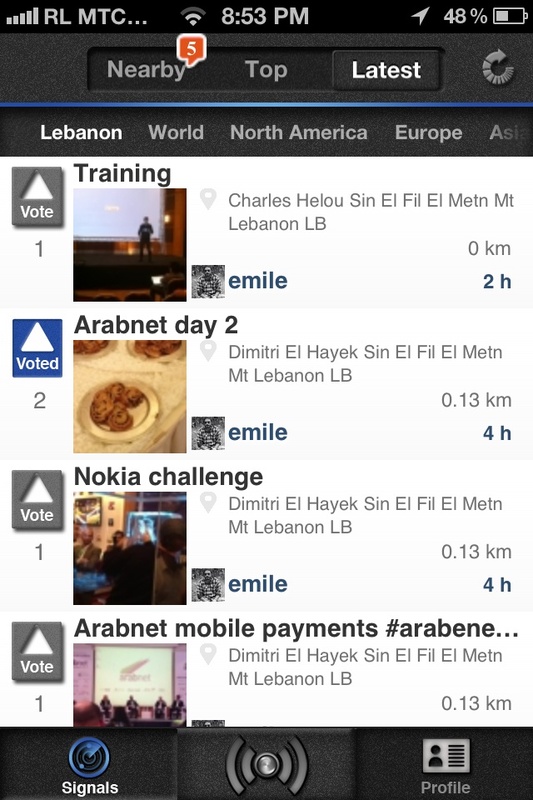 The first is a look at a new app for the iPhone regarding Citizen Journalism. If you haven't noticed, Citizen Journalism is everywhere. If you are unaware of what this is, Dictionary.com defines this term as "the involvement of non-professionals in reporting news, especially in blogs and other website." Participation is done by way of apps on smartphones, tablets and any device that is connected to the Internet. Citizen Journalists are using apps to their advantage to publish news in the fastest way possible. Some have become so fast that main stream media has begun to use what the public has made popular. Twitter is probably the most used app when it comes to breaking a story on the go but a new app that has been dubbed by Mashable as "the Instagram of Citizen Journalism" looks to be a big competitor in the race to distribute news. So what's the name of this new app? The app, which combines photo sharing and geo locations, is named Signal. Mashable explains the app as "quick and easy photojournalism. Users capture media that they then upload to the app with a geo-tagged location and a short caption of around 60 characters. And if multiple people happen to be covering the same story, an algorithm for the app pushes the photos together, so the content becomes classified under the same story." As a Citizen Journalist myself, the app has me very interested. Signal is currently in private beta for testing and will be available soon through Apple's App Store. For now though, you can go here and add your email address to request an invitation to test Signal before it's released. For an in-depth look at this new app, you can check out the entire story on Mashable. Cheers!